Action and Advocacy on the Rights of Persons with Disabilities, 2nd Ed. 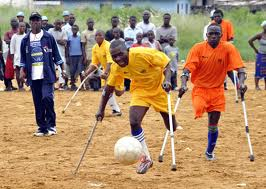 In August 2006, the United Nations adopted the first global human rights treaty addressing the subject of disability, the UN Convention on the Rights of Persons with Disabilities (CRPD). While this is a critical and historic step forward for the global disability movement, the adoption of a UN convention alone will not ensure that the human rights of persons with disabilities will be respected and protected. Disability organizations, disability advocates and community leaders must launch and sustain a major educational and advocacy initiative in order to ensure that the rights in the convention are known to all and that governments fulfill their legal responsibilities. History has shown that the effectiveness of such conventions is directly related to the capacity of civil society to promote their implementation and monitor governments’ performance in enforcing them. Human Rights. YES! is a new human rights education tool, based on the UN Convention on the Rights of Persons with Disabilities. The tool was developed to equip persons with disabilities and their representative organizations to integrate a comprehensive human rights approach in to their advocacy work. The training exercises in Human Rights. YES! are designed to enhance organizations’ advocacy at the national and community levels, as well as to promote individual empowerment and self-advocacy initiatives. Human Rights. YES! is also an essential resource for other human rights groups, such as women’s rights and children’s rights organizations, that want to understand disability rights and integrate a disability perspective into their work. 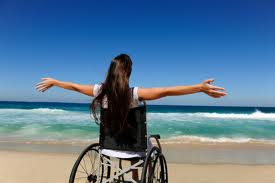 •	Case studies of advocacy for the rights of persons with disabilities. •	Examples of legal cases that illustrate how national laws are being changed to meet the requirements of the CRPD. •	A new section that explains how the CRPD is monitored and how its monitoring mechanism can be used for advocacy. •	The print version of the manual comes with a CD-Rom containing Human Rights. YES! in both PDF and an accessible MS Word document. The CD-ROM contains a file of all the photos and images used in the manual for facilitators to use during trainings. •	A passport-sized booklet containing both full-text and abbreviated versions of the CRPD. The first edition of Human Rights. YES! appeared in 2007, just a year after the UN General Assembly adopted the CRPD and opened it for ratification. This edition reflects the significant developments in the field of disability rights that have evolved in the following five years. Not only did the Convention receive enough ratifications to enter into force in 2008, but as a result of the reporting process required by the treaty, the CRPD Committee, which monitors the treaty, has begun to issue General Comments, Concluding Observations, and Recommendations that encourages States Parties to take action to implement the treaty fully. 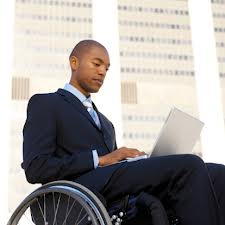 Furthermore, disabled people’s organizations around the world have begun to use the CRPD to advocate for the full realization of the human rights of persons with disabilities.